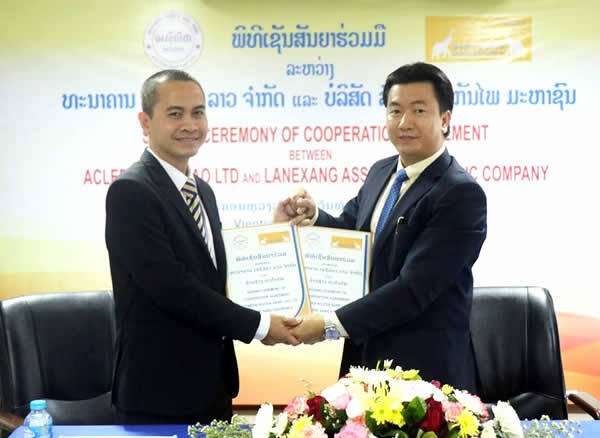 On Thursday, December 06, 2018, ACLEDA Bank Lao Ltd, Head Office held the The Agreement Signing Ceremony for cooperation between ACLEDA Bank Lao Ltd (ABL) and Lane Xang Assurance Public Company, the leading insurance company in Laso. The agreement was honorably signed by Dr. Hay Svay, Managing Director & CEO of ABL and Mr. Do Dang Khang General Director of Lane Xang Assurance Public Company and was witnessed by the managements and staff of both sides. 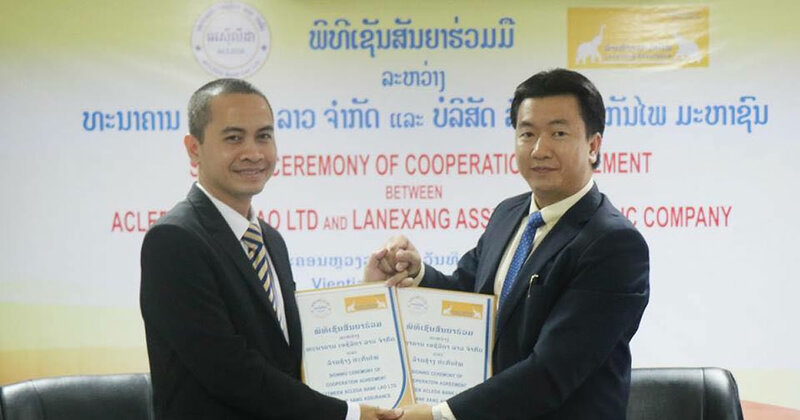 The signing ceremony has opened up the cooperation between the two partners, as well as strengthening the business of Lane Xang Assurance Public Company and ACLEDA Bank Lao Ltd. Both sides will co-create and present financial and insurance products for both consumers. ACLEDA Bank Lao Ltd is the subsidiary Bank of ACLEDA Bank Plc, the leading Bank of Cambodia. Presently, ABL has more than 1.000 staff to serve customer at 14 branches office and 25 Service units, 55 ATMs for 24 hours service and mobile banking "ACLEDA ThanChai" which is an application that the customer can do transaction at anytime anywhere. ABL would like to take this opportunity to express our sincere thanks to all valued customers for using our bank's product and service. ABL will continue to develop a modern service system and products for customers.